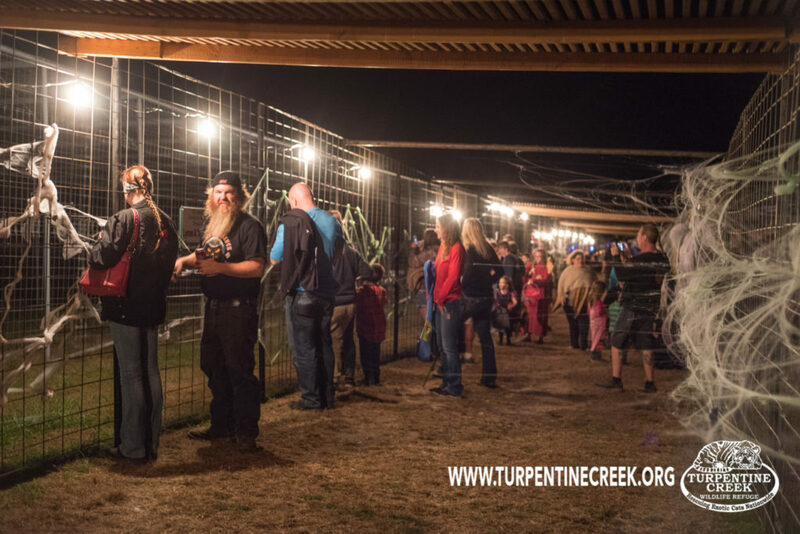 Ghosts, ghouls, and growls, this is Howl-O-Ween at Turpentine Creek. Once a year we open our doors to the public after dark and let them enjoy the animals when they are the most active. Big cats are nocturnal and diurnal, so they spend most of the day sleeping. This is a great chance for kids (of all ages) to dress up, have some fun, and of course get stalked in the dark by a tiger. Join us on October 28, 2017, from 7-9pm CST for our annual Howl-O-Ween event. Everyone is invited to join us for an evening of fright and felines. Life’s no fun without a good scare. We hope to see you here, if not this year than next. 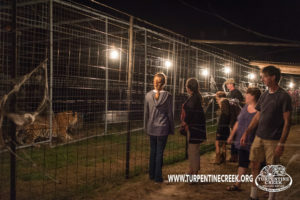 Make plans for a trip to Turpentine for the special, one night a year, event. It will be a frighteningly good time!